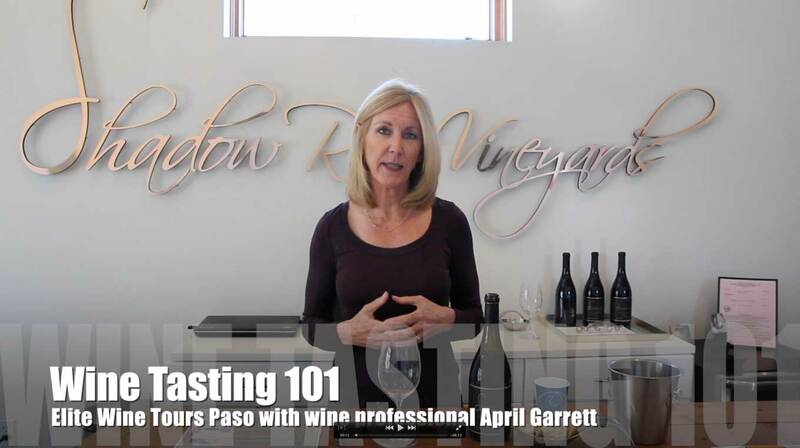 Here’s a simple guide to help launch your wine tasting career. Tasting techniques are discussed. Wine etiquette is also a key component to enjoying wine among other wine enthusiasts- with the cornerstone principal being no body fragrance of any kind. This can affect the tasting experience of those around you. There are a couple ways to hold a wine glass. One is to hold it in the midpoint of the stem. The other is to support the base of the glass with your index, middle and ring fingers. Use your thumb to clamp down on the top side of the base, holding the glass securely. Cupping a wine glass with the stem between the middle and ring finger can be useful if the wine is too cold, and a slight warming will help open it up. Cupping or holding the bowl portion of the glass with your fingers too long will only serve to warm the wine close to your body temp. After giving the glass a couple gentle swirls, hold it with light as a backdrop, or something white like paper, so you can examine its color. The legs, or tears as the French call the phenomena, are a manifestation of combined alcohol, glycerol, and the rate of evaporation of the alcohol and the surface tension between solids and liquids. Legs are not an indication of good wine, but are fun to notice. Observe the clarity of the wine, which can also indicate that it has not been fined. This is a wine making technique used to remove solids, versus filtering, which can put more stress on the wine. After the tasting room attendant pours wine into your glass (usually about an ounce), it’s time to aerate the wine with a deft swirl of the glass to slightly oxidize the wine, and open it up a bit more so it can express more of its flavors. Simply hold the glass by the stem just above the base, and place it on the counter. A simple clockwise or counter clockwise rotation of your hand for a few seconds using the counter surface to keep the glass upright is all that’s needed to look like a pro. The aromas emanating forth from the wine after your mild agitation are called the bouquet. This is something to be well savored with a slow steady sniff to take in all the aromas, and their intensity before actually tasting the wine, with maybe one more deep sniff to imprint the bouquet in your memory, and reflect on what you’re sense of smell is getting from the wine. The angle of the glass and placement of your nose inside the glass are important. 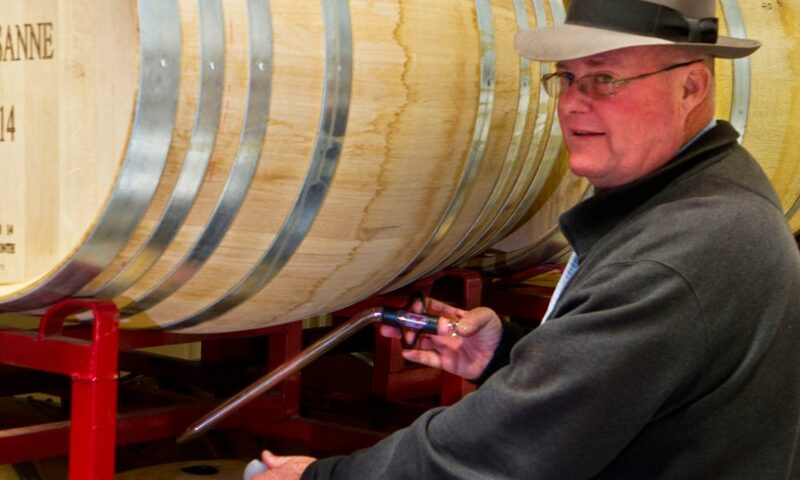 The object is to have glass meet nose at such an angle and position that alcohol gassing off from the agitation does not interfere with smelling the wine’s bouquet. Try different angles of nose to glass- from nose in a near vertical glass through various angles to the position shown in the photo. Notice how varying angles of glass to nose, along with the alcohol gassing off, change or dominate the bouquet. Wine is best enjoyed in small sips. Sense how the wine enters your palate. This is by design, with some wineries spending considerable time with staff testing wine glasses filled with ice water, and analyzing how the shape of the glass influences the way the wine crosses your palate. When tasting the wine, notice sweetness, acidity, tannin, body and alcohol which are manifested on different zones of your palette. Flavor characteristics and intensity described in flavors and smells that you know are a simple way to express the many tastes that can make up a wines flavor profile. The length of finish and aftertaste, overall balance of the wine and how it expresses its variety of grape, or clone of grape is also important to know. Don’t be intimidated- Google Robert Parker’s Glossary of Wine Terms to kick start your wine antennae when it comes to describing and recognizing the bouquet and flavors you’re sensing.